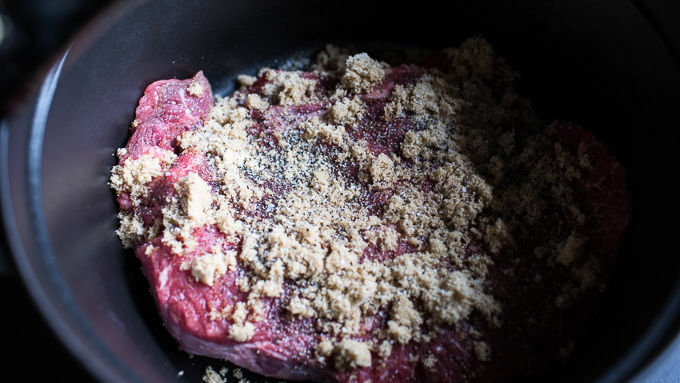 Add the beef to a slow cooker. Sprinkle with brown sugar, onion powder and garlic powder. Pour the beer over the beef. Cover and cook on low for 6 to 8 hours. Once the meat is cooked, shred with two forks. Serve in soft buns. If you're looking for a saucier beef, add 1-2 cups of BBQ sauce after cooking. This recipe also works equally well with pork. Keep the kitchen cool with this slow cooker pulled beef recipe! I hope everyone’s summer is off to a great start with plenty of warm weather, barbeques, sun bathing, swimming and definitely plenty of ice cream. With the weather really starting to heat up, I wanted to share an easy summertime recipe that will leave your home cool and your stomach content. A lot of people forget about the slow cooker in the summer months, but honestly summer is one of my favorite times to use it. 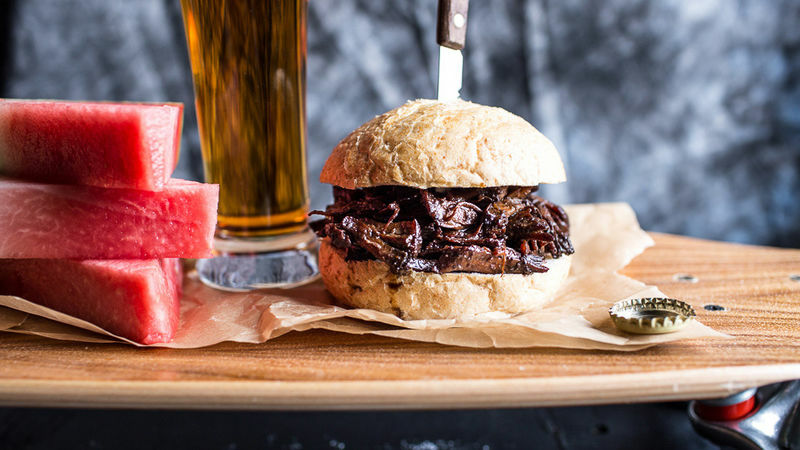 The slow cooker doesn’t heat up the whole house like the oven can and it’s perfect for all the slow cooked barbecued meats that are so loved in the summer. Today’s recipe is beyond quick to prep (like 5 minutes!) and makes a great meal for busy summer people. It’s great for backyard parties or a weeknight meal. It’s also the perfect no fuss, make-and-take meal. If you're looking for a saucier beef, add 1-2 cups of BBQ sauce after cooking. This recipe also works equally well with pork. You’re going to fall in love with this recipe. Serve in soft buns—and call everybody over to eat!